In many ways the breeze-up sales represent a clash of cultures, with the art of horsemanship meeting the science of thoroughbred selection. But in the case of Micky Cleere and Star Bloodstock, both of these principles are being embraced in the pursuit of a faster horse. Cleere, widely regarded as one of the finest breeze-up jockeys around, is the man holding the reins for the up-and-coming consignor Star Bloodstock, whose sales season gets under way with a five-strong draft at the Goffs UK Breeze-Up Sale on Monday. In his younger days Cleere rode professionally, notching 42 wins for 15 different trainers, but as opportunities failed to keep pace with his considerable talent he found himself increasingly in demand within the breeze-up fraternity. When Matt Eves founded Star Bloodstock in 2015 he knew exactly who he needed to call upon. 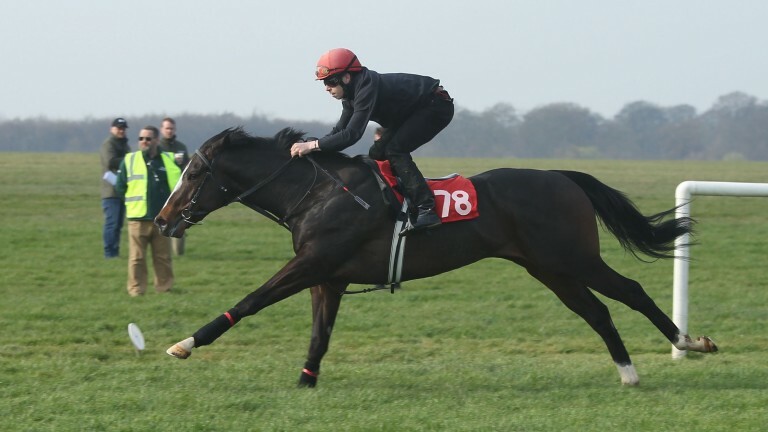 “I started off juggling breeze-ups with race-riding, I’d be at the breezes early doors and fly off to the races when I had a ride,” Cleere explains. The Star Bloodstock yearlings that get sent to Cleere are selected by Byron Rogers, whose innovative methods involve analysing a ten-second video loop of the horse’s cardiovascular system, DNA testing and biomechanical measurements to help identify those rare examples of equine excellence. But even with the right raw materials on your side, there are no guarantees in the pressure-cooker environment of the breeze-up sales. For better or for worse, each horse has just 22 seconds to showcase his or her potential to prospective purchasers, and there is no second roll of the dice. The jockeys tasked with riding breezers at the sales have, quite literally in some cases, millions of pounds staked on them being able to guide their mounts up two furlongs of turf. Having handled the likes of The Wow Signal, Sands Of Mali and My Dream Boat during their breezes, it is obvious Cleere possesses both nerves of steel and hands of silk. “There’s always pressure when you know you’re on a horse that you think a lot of – especially when you’ve told others that you think it’s a good one,” he says. “It’s totally different to riding in races. And you can only get it right at the breeze if you have got it right during a horse’s preparation, and this is where Cleere’s vast experience and expertise are at their most valuable. Having sat on thousands of horses during his career, Cleere knows only too well the importance of a proper equine education. “We do a lot of figures-of-eight and all sorts of stuff once they’re broken in,” he says. “Turning left and right, hacking around the field, all that stuff, we do that for two months to get any bad habits out of their system. Despite the clock having such a significant impact on the price a horse achieves at the breeze-ups, one thing you won’t find at Star’s base is a stopwatch. “We don’t time them at home, I prefer to go off feel and experience, that’s enough to know which ones are quick and how fit they are,” says Cleere. “It’s easy with some horses but it’s tricky with most because it’s easy to go over the top with them, especially when they’re growing. The Star team have had something of a nomadic existence to date, having started out in Newmarket before switching to Deauville. But having relocated to Thurles, County Tipperary, for the 2018 breeze-up season, and with a strong team of staff in place, Cleere is confident Star’s best squad of breezers yet have enjoyed the smoothest possible preparation. And when the time has come to press a few buttons, Cleere has travelled the horses to his old stomping ground at breeze-up king Willie Browne’s Mocklershill establishment, an exercise which has been a vital step in the educational process, he says. “It’s brilliant being back here. I’ve been riding up Willie Browne’s gallop for years, it’s probably the best gallop around. It’s been a much easier preparation this time around. 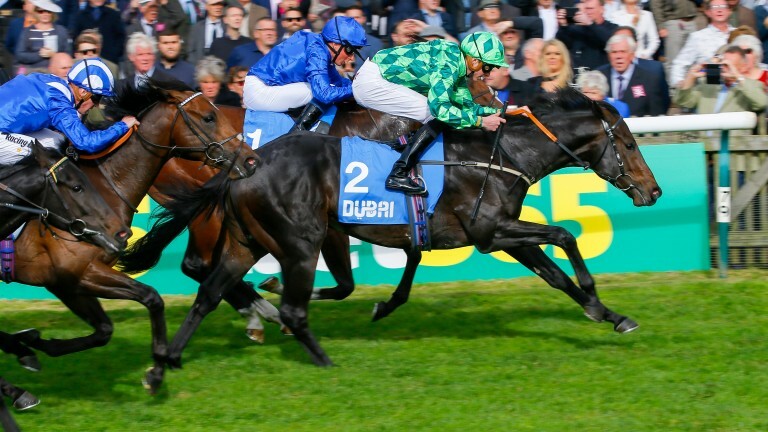 The draft headed for Doncaster includes a filly by promising freshman sire Heeraat and Rajasinghe's half-sister by Born To Sea, as well as colts by More Than Ready and Paco Boy. There is also a strong international presence among the pedigrees of Star's horses this year, with a filly by the Into Mischief horse Can The Man bound for Goffs UK, the Craven draft includes a colt by French Fifteen and a filly by Orb, while they also send the only daughter of Fed Biz in the catalogue to the Arqana Breeze-Up. "There's a couple of horses by sires people might not be too familiar with," says Cleere. "But Byron goes for individuals, he's not worried about the name of the sire, it's all about the horse." 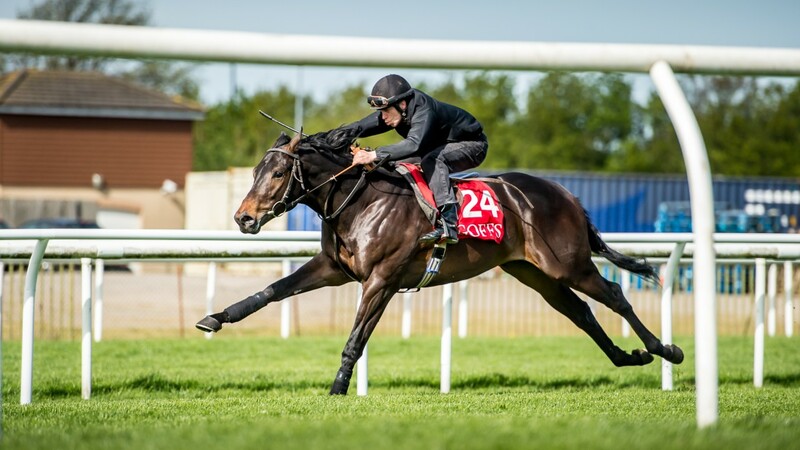 Moreover, the combination of Rogers' selection methods and Cleere's preparatory prowess has already borne fruit, with Cornwallis Stakes winner Abel Handy, dual winner and Group 2-placed Broken Stones and the upwardly mobile Wasim among the talents to have graduated from the Star Bloodstock camp. "We always knew Abel Handy was quick – he always had a great mind and was so laid-back," says Cleere of the horse bought by Declan Carroll for just £16,000. "We told plenty of people about him but for one reason or another they were happy to leave him. But that's the game we're in. The key is people having trust in us. We've had a good start though, and this game is all about selling good horses."